MANILA – 4 April 2019 – Palo Alto Networks, the global cybersecurity leader, yesterday (April 4) hosted the Cybersecurity Forum in the Philippines and introduced Cortex, the industry’s only open and integrated, AI-based continuous security platform. This new approach to detection and response aims to help organizations protect themselves against cyber attacks more effectively. 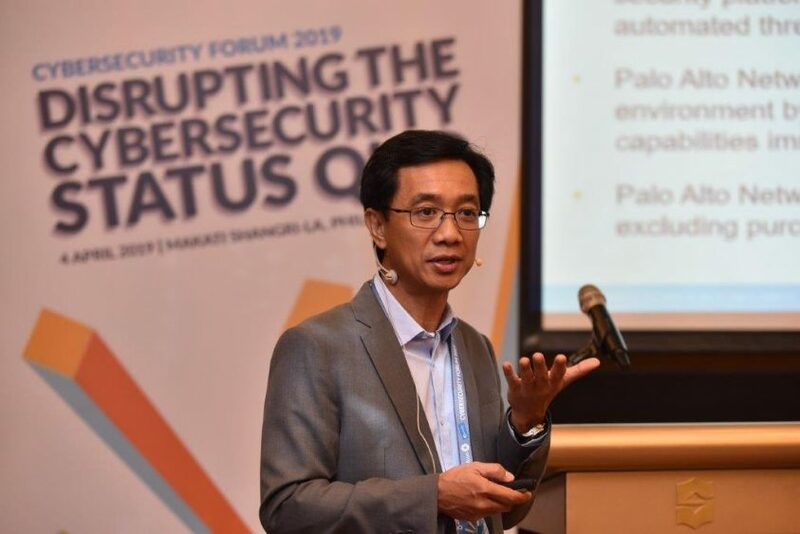 Themed ‘Disrupting the Cybersecurity Status Quo’, the day-long event included keynote presentations by Oscar Visaya, country manager for the Philippines at Palo Alto Networks, and Vicky Ray, principal researcher, Unit 42, Palo Alto Networks. The forum was organized in collaboration with Microsoft, whereby participants took in the latest cybersecurity insights, best practices shared by industry peers and also key policy changes that can continue to drive the industry agenda. There were also demonstrations of the latest innovations, problem-solving opportunities, and networking sessions with partners, associates, and peers at the event. “There are increasing vulnerabilities and security breaches looming ahead as cybercriminals continue to utilize sophisticated tactics to launch cyber attacks, that result in reputational and financial losses by organizations. Today, we are pleased to introduce the significant advancements that use the power of advanced artificial intelligence and machine learning to help organizations detect, protect, and respond to sophisticated attacks across enterprises, spanning network, cloud, and endpoints.,” said Oscar Visaya, country manager, Palo Alto Networks Philippines. Cortex is a significant evolution of the Application Framework, designed to simplify security operations and considerably improve outcomes. Deployed on a global, scalable public cloud platform, Cortex allows security operations teams to speed the analysis of massive data sets. Cortex is enabled by the Cortex Data Lake, where customers can securely and privately store and analyze large amounts of data that is normalized for advanced AI and machine learning to find threats and orchestrate responses quickly. Traps endpoint protection and response now include a Behavioural Threat Protection engine that stops advanced threats in real time by stitching together a chain of events to identify malicious activity. Traps 6.0 acts as the ultimate data collection sensor for Cortex Data Lake, gathering the most comprehensive endpoint security data in the industry. In conjunction with Cortex XDR, customers can use Traps to extend their prevention capabilities to include detection and response across their entire digital infrastructure with a single agent. We are the global cybersecurity leader, known for always challenging the security status quo. Our mission is to protect our way of life in the digital age by preventing successful cyber attacks. This has given us the privilege of safely enabling tens of thousands of organizations and their customers. Our pioneering Security Operating Platform emboldens their digital transformation with continuous innovation that seizes the latest breakthroughs in security, automation, and analytics. By delivering a true platform and empowering a growing ecosystem of change-makers like us, we provide highly effective and innovative cybersecurity across clouds, networks and mobile devices. Find out more at www.paloaltonetworks.com.